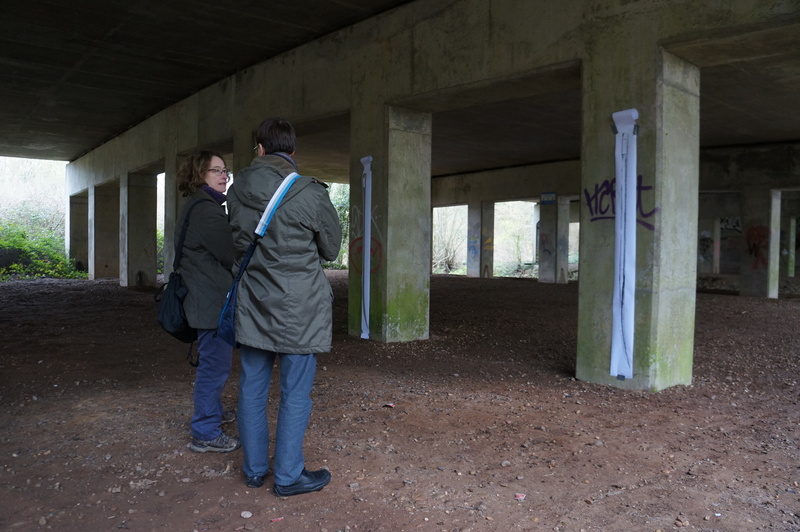 The highways of Redditch cross the Arrow Valley Park at many different places, using pillared flyovers, creating some very interesting potential sites for art. We think these places could be used to link together the Collections at Forge Mill Museum with the surrounding landscape. 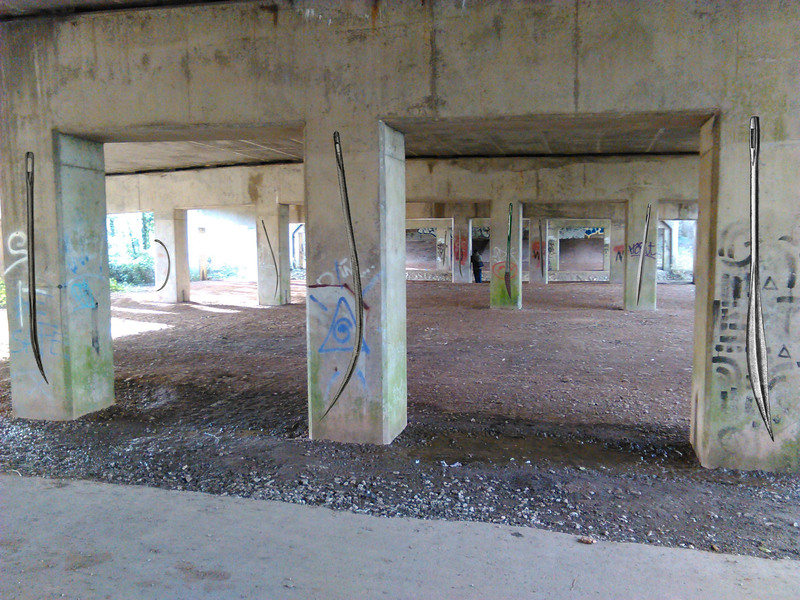 Our idea is to paste or stencil images from the old needle catalogues onto some of the concrete pillars. Discussing the project with members of Redditch Borough Council Arts and Events team, Redditch Arts Council, museum volunteers and RRTAG. 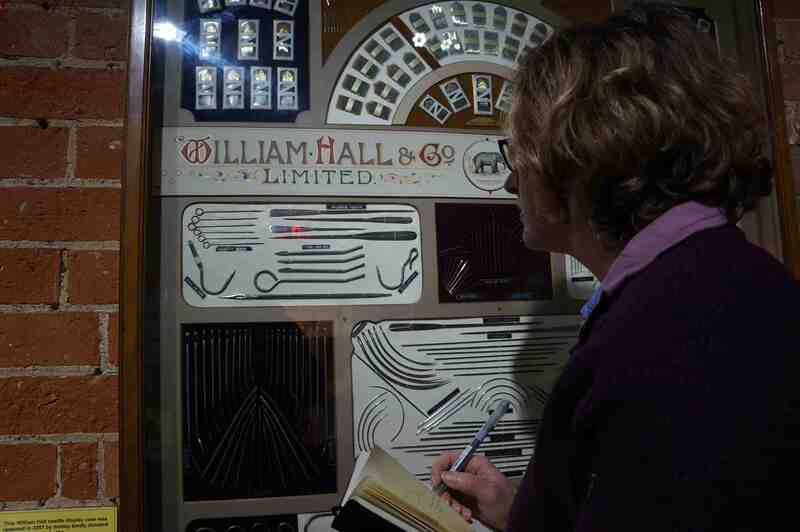 We showed a selection of our previous arts and heritage projects at Bede’s World Museum, Shrewsbury Museum and Ditherington Flaxmill and talked about project aims for “Scour”. 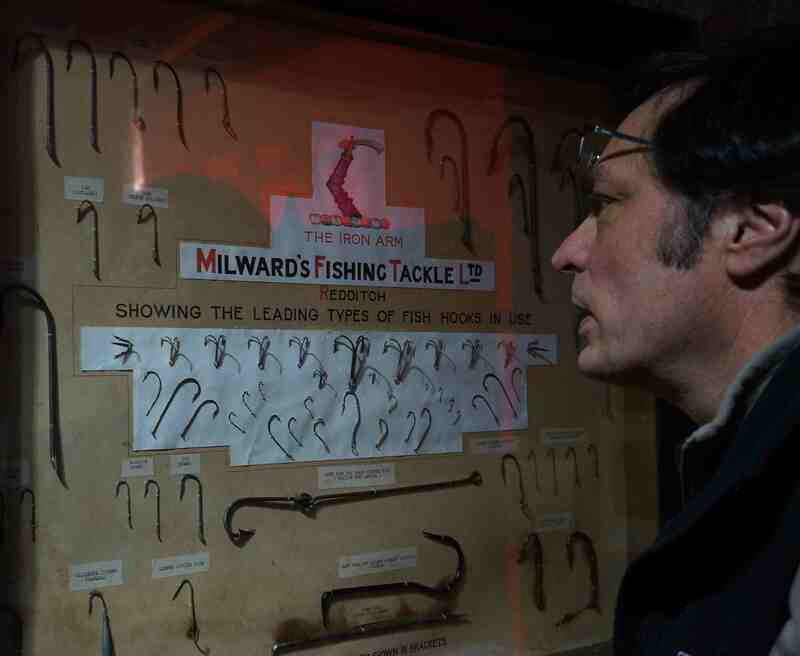 Drawing from displays of William Hall needles and Milward’s fishing tackle in the Forge Mill collection.